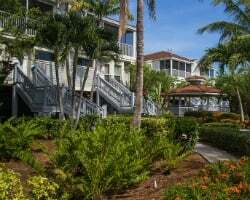 Nestled among the golden shores of Captiva Island, the Plantation Bay Villas at South Seas Island provides an effortless beachside escape for timeshare owners every year. Find timeshare resales and rentals online with SellMyTimeshareNow.com today. What’s My Plantation Bay Villas Timeshare Worth? 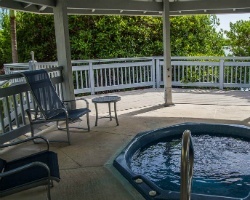 Located in picturesque Bryant's Bayou on the bay side of Captiva Island, the Plantation Bay Villas at South Seas Island offers a timeless Floridian escape drenched in island inspiration. From the screened balconies hiding playfully behind swaying palms, to the heated swimming pools filled with the ocean's salty air and tanned with sun, you'll have the perfect tropical getaway each and every year as a timeshare owner. 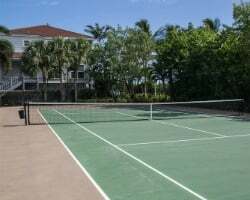 So, whether you're looking to explore the vast beaches of Captiva, or just looking to lounge under that signature Florida sun for some R&R, you'll have everything you need at the Plantation Bay Villas. The accommodations at the resort take the form of gorgeous three bedroom units equipped with a classic island-inspired design that will transport you to vacation mode. With enough room for large groups or families, you'll find desirable homelike features with modern upgrades to ensure a comfortable stay. Enjoy your unit's full kitchen for home-cooked dinners, or take advantage of your own private washer and dryer for your convenience. Relax with a cold beverage out on your private balcony, or simply stay in and enjoy a game night in your spacious living area. With your very own home-away-from-home, the options are almost endless. Are you ready to secure your own fantastic accommodations at the Plantation Bay Villas? Fill out the form on this page to learn more about how to become a timeshare owner, or call a representative at 1-877-815-4227. 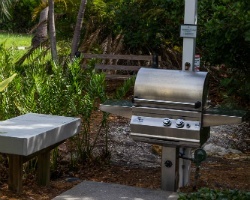 Owning a Plantation Bay timeshare means years of exciting trips to Captiva Island stocked with exclusive benefits. However, if you choose to buy your timeshare on the resale market, you could save thousands of dollars while still guaranteeing yourself some great vacation solutions. Timeshare resales are offered by current owners instead of the resort itself—this means you can find timeshare units at the Plantation Bay Villas for prices up to 70% lower than retail costs, allowing you to save on the Florida vacations you want. Resales at the Plantation Bay resort come in the form of deeded fixed and floating weeks, allowing you to find an ownership that works best for you. You may also find resales in Hilton Grand Vacations Club points, which can lead to a more flexible and beneficial reservation planning system. Plantation Bay timeshare resales are also available in Hilton's Silver, Gold, and Platinum seasons, allowing for a variety of different price points to match your individual budget. The Plantation Bay Villas at South Seas Island resort are affiliated with the Hilton Grand Vacations Club, one of the most popular timeshare brands in the world. As a timeshare resale owner at the resort, you can take advantage of some of the brand's best benefits and perks. While you won't be able to enroll in the club at the Elite level, you can still bank and borrow your HGVC points, or even convert unused points into HHonors rewards. You can also maximize your status as a Hilton timeshare owner by using your points for other vacations. Spend your yearly allotment on accommodations at other Hilton resorts to explore exciting destinations worldwide. The Plantation Bay Villas are also affiliated with RCI, the world's largest timeshare exchange company. With more than 8,000 resorts in its global exchange network, RCI can help you maximize your timeshare resale by enabling you to discover new destinations and expand your horizons. In any given year, you could opt to explore vacation possibilities in locations other than Florida, like Las Vegas, the Caribbean, South Carolina, and more. Simply deposit your Captiva Island accommodations into their exchange network and trade for stays at comparable resorts all over the globe. The Plantation Bay Villas South Seas Island Resort features a collection of on-site amenities and services designed to help you create a fantastic vacation experience year after year. Lounge by the pool to soak up the sun and ocean air, or reserve a spot in one of the resort's coordinated activities for kids. Hop aboard the trolley to make your way around the rest of the South Seas Island Resort, including the golf course located on-site. Nearby, Captiva Island has all the charms and scenery you could want from a tropical island retreat. Spend your days lounging on the beaches of the island town, whether you seek to swim, surf, or sunbathe. Try your skills at wakeboarding, windsurfing, or other watersports out on the calm Gulf waters. Embark on a catamaran sailing excursion around the island, or charter a deep sea fishing trip to catch grouper, snapper, or other elusive fish. Head south to Sanibel Island to explore more beaches—hunt for rare seashells along the shore and take home your very own trophy from the deep waters. Already Own at Plantation Bay Villas at South Seas Island?